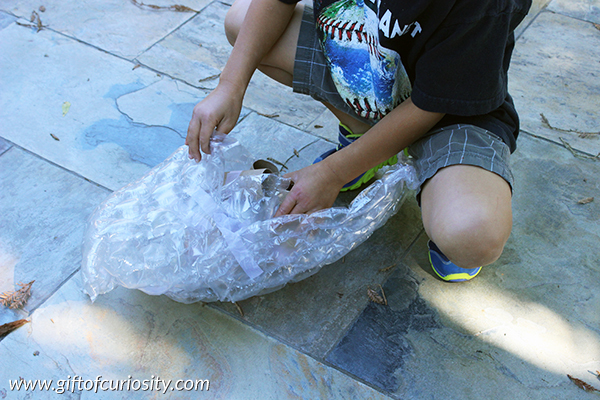 In this post I am sharing a fun egg drop challenge I did with my kids to help them practice their scientific thinking. The egg drop challenge is just one of more than 50 activities in a fabulous new book called STEAM Kids. 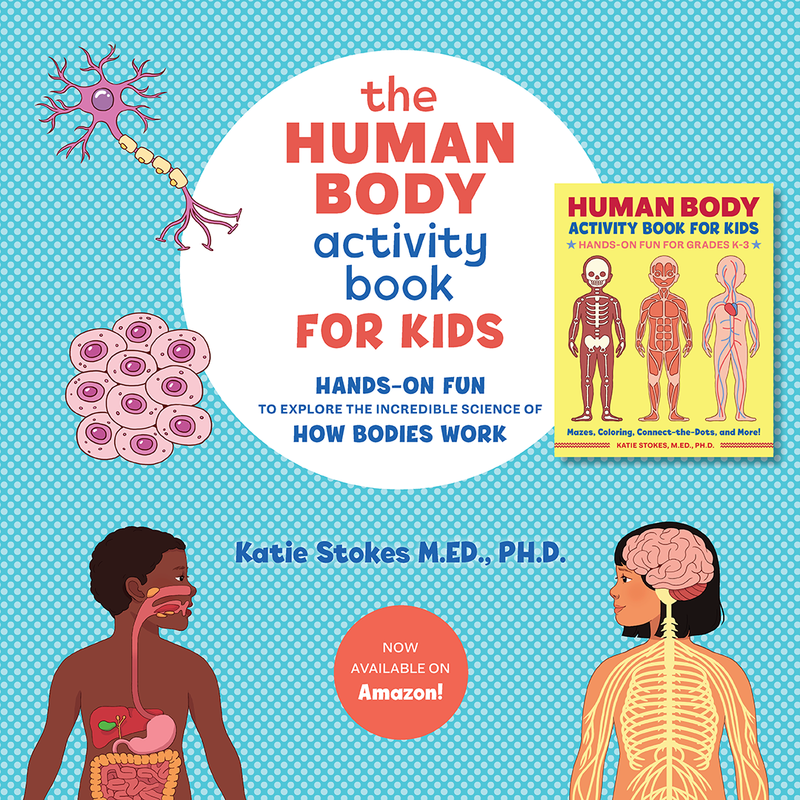 If you want to teach your children and students to think like scientists, you’ll find plenty of creative and innovative ways to develop their scientific thinking inside this book. 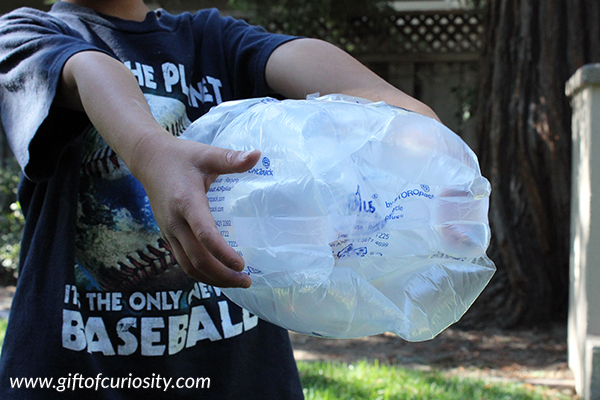 So on a recent afternoon I gave my kids a challenge: Build a contraption for an egg that will prevent it from cracking when dropped from a tall height. My kids were intrigued. Although they were a bit nervous when I told them the egg would be raw, not hard boiled. But they were still up for the challenge. “What if it’s an epic failure?” my son asked. “Learn from the experience,” he replied. My kids got to work right away building their contraptions. QBoy found a small pail and thought it would be a good container for his egg. 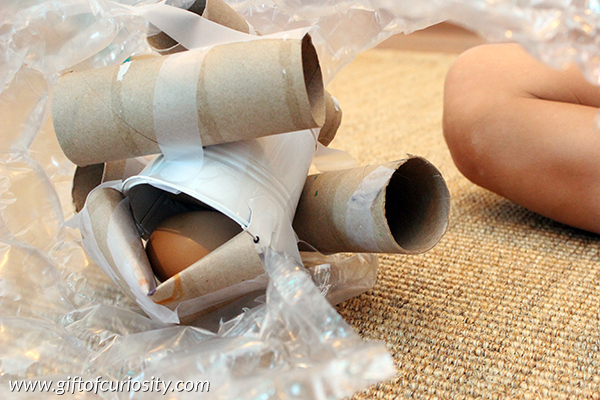 He had an idea that some sort of cushioning would be needed, so he began adding toilet paper rolls to the outside. I knew that there were still some issues with his design, so I began prodding him a bit about shock absorption. After a bit of discussion, QBoy decided he needed extra padding, and he covered the outside of his contraption in bubble wrap. Then he declared his was ready. I dropped his contraption from up high and it landed on our patio. He ran over and began to open it up, looking excitedly for his egg. The egg had cracked. However, it had not actually leaked any of the inner contents. I asked QBoy what he thought went wrong. 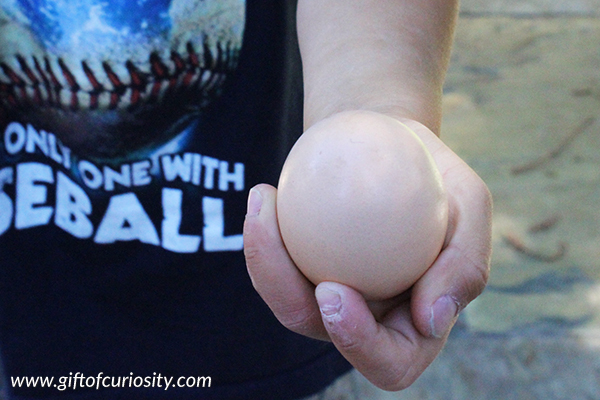 He decided that he didn’t have enough shock absorption between the egg and the pail he had put it in. 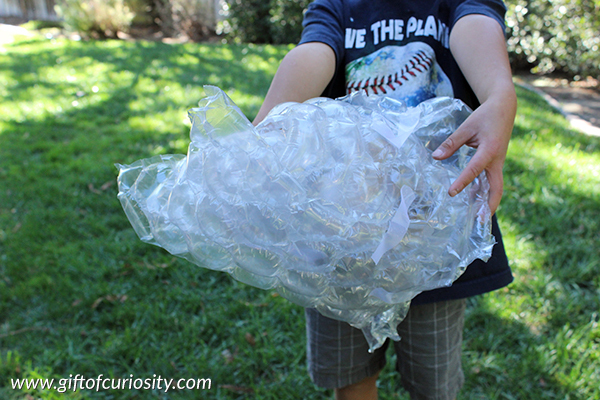 He decided to try out a new design that consisted entirely of wrapping his egg in several layers of bubble wrap. And this time, it was a raging success! 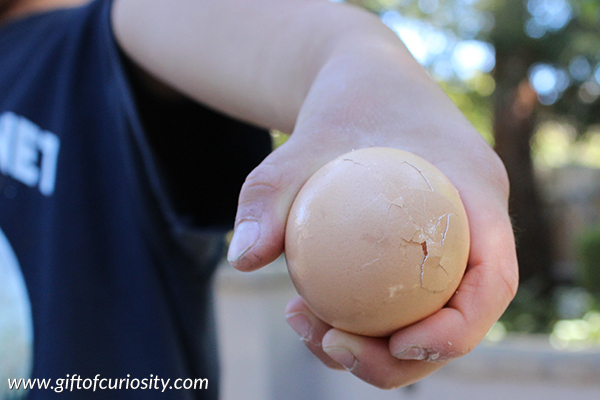 But the biggest success, from my point of view, was not that he managed to protect the egg so it didn’t crack. It was that he tried one idea, learned from his failure, and then tried another idea that was better. That is what thinking like a scientist is all about. 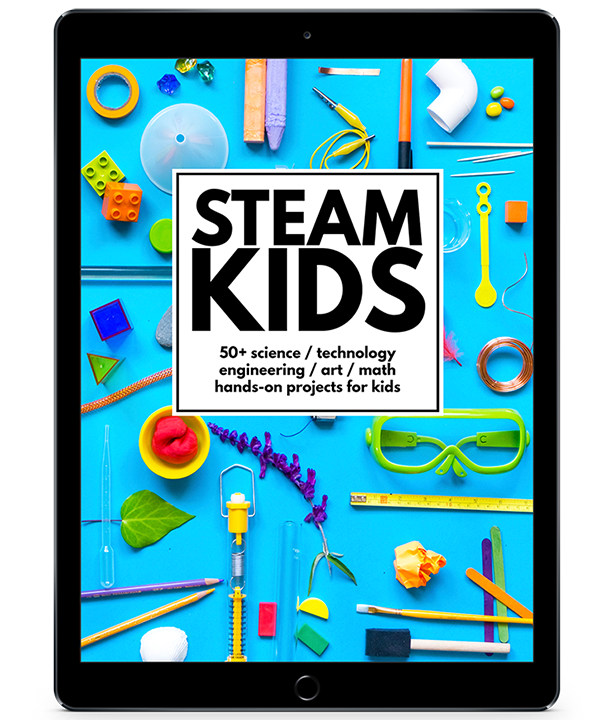 If you are like me and you desire to help your kids think scientifically, you’ll want to know about a new book called STEAM Kids that is written by some very talented blogger friends of mine. 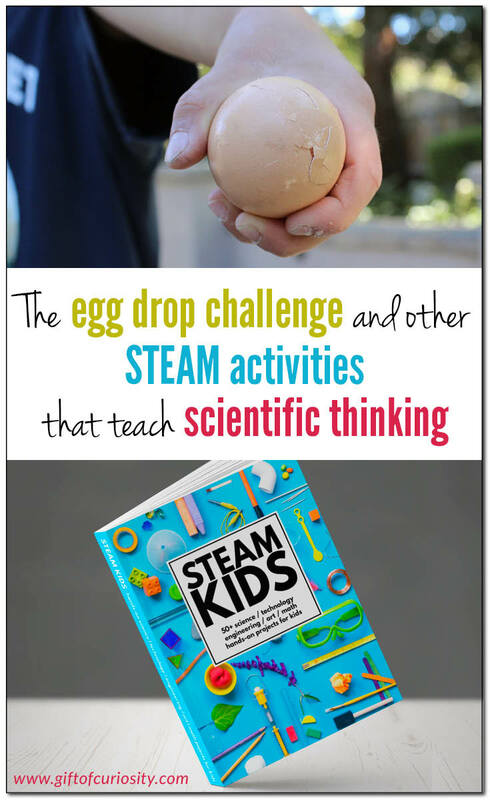 In fact, the Egg Drop Challenge is one of the activities featured in the STEAM Kids book, along with some fun extension ideas that go beyond what I shared above. 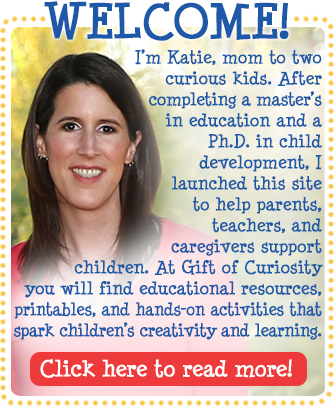 So what is STEAM Kids? 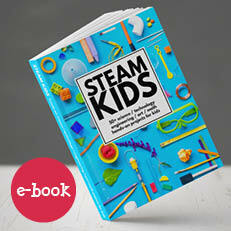 The STEAM Kids book features 52 hands-on ways to have fun with STEAM. (That’s a whole year’s worth of ideas!) 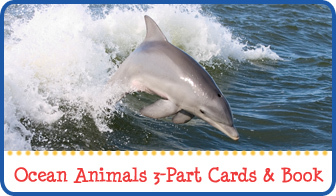 The activities are helpfully identified by their STEAM category (science / technology / engineering / art / math) so you know exactly what skills your kids are developing with each activity. 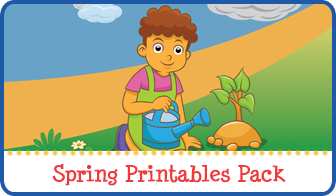 Plus, the book includes a STEAM activity planner for classrooms, camps, school breaks & more. Where to buy the STEAM Kids book? 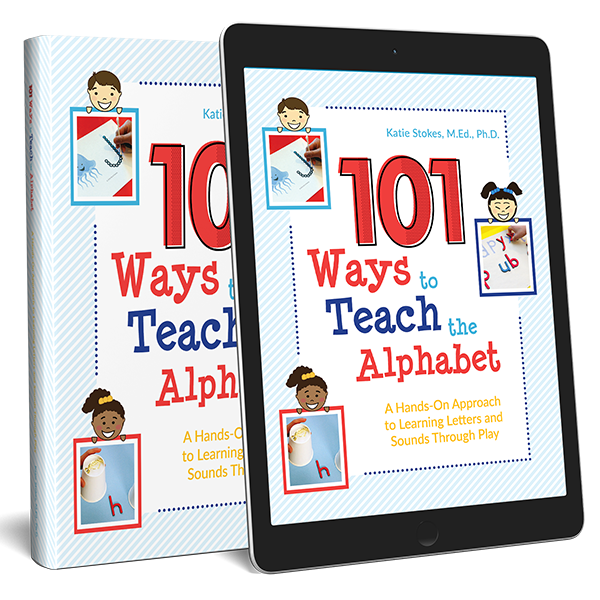 The book can be purchased in different formats, each with its own price. What people are saying about STEAM Kids?